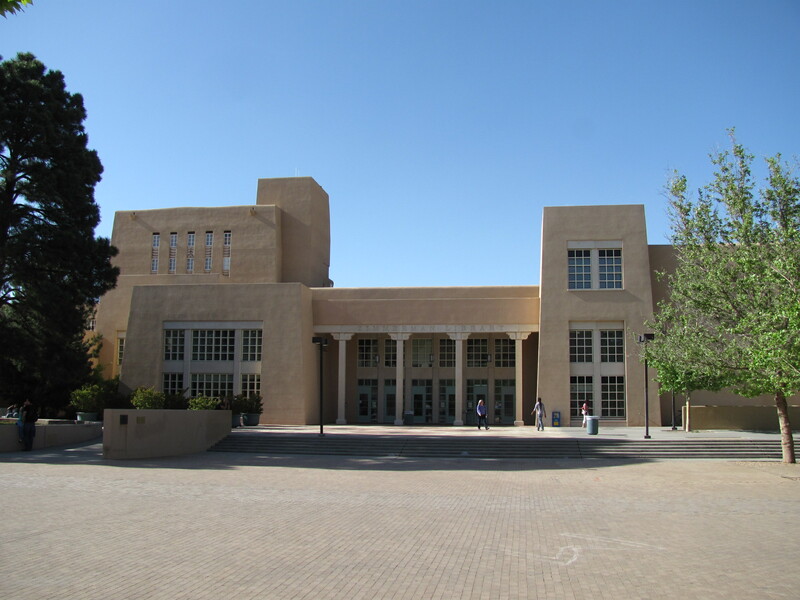 In 2013, UNM’s Zimmerman Library celebrated its 75th Anniversary. Referred to as The Campus Heart, the library is known as one of the finest examples of Spanish-Pueblo Revival in the Southwest. 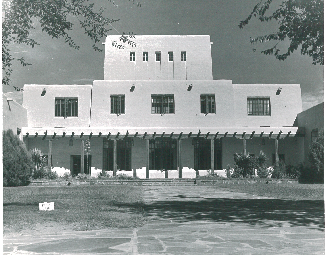 Drawing upon his interest in the preservation, restoration, and revival of the local indigenous architecture, Santa Fe architect John Gaw Meem designed various phases of the complex at the University of New Mexico from 1934-1959. As intended by Meem, Zimmerman, like the local pueblo buildings which served as its model, expands with the needs of faculty, students, staff, and the local community, remaining the heart of UNM’s lively modern campus. The library was constructed on the then undeveloped northeast side of campus with wide-open views of the Sandia mountains. The Spanish Pueblo Style structure is highlighted by a nine-story, book-stack tower relieved by windows in vertical groups. The two-story main structure was flanked by flat-roofed wings projecting to the north, south, east and west. A traditional portal runs along the main west façade. 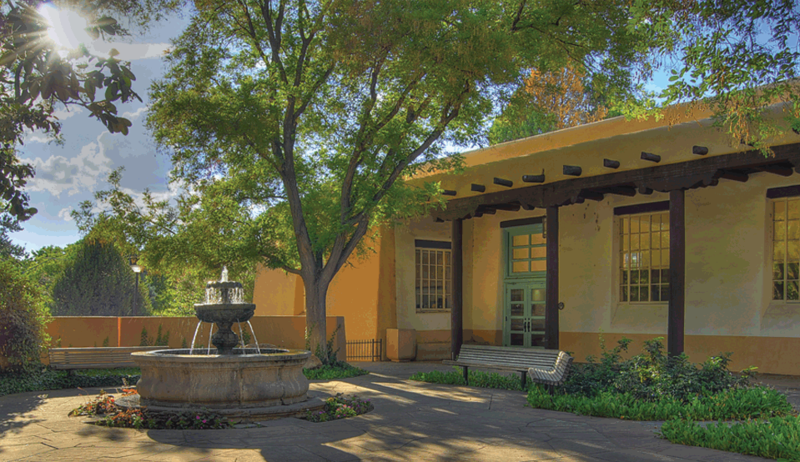 While hollow tiles, steel and concrete replaced adobe bricks, the undulating molded exterior and corner buttressing recalled the traditional regional architecture and the monumentality of the mission churches. The building’s interior is enriched with hand-crafted features including punched tin light fixtures, elaborate wood carving and handmade furniture, all designed by Meem and rendered in WPA-funded workshops in the area.